John’s passion is helping organisations to identify, develop and realise the potential of their people, and in helping individuals to grow, develop and realise their talent. He is a Chartered Psychologist with a Masters degree in ergonomics and a verified British Psychological Society Assessor for Level A & B training in occupational testing. John’s earlier career involved working for a major UK test publisher followed by British Telecom and the Burton Group (now Arcadia) where he worked as an internal consultant with responsibility for senior management assessment and development. Within British Telecom he was instrumental in designing and implementing a mentor programme to help engineers make the transition to management roles, whilst in the Burton Group he was responsible for senior executive assessment and development and instigated a number of innovative approaches to leadership development and career coaching. John became a Director of Castleton in 1998 having worked as an independent consultant for 8 years. He has worked with a broad spectrum of clients drawn from many sectors including Retail, Financial Services, IT, Telecoms, Travel, Utilities and the Public sector and has developed a particular expertise in advising and supporting the design, implementation and integration of selection, assessment and development strategies. Additionally John has a particular interest in the development of new approaches to leadership assessment and development. John has extensive experience of psychometric testing, including the development of new and bespoke instruments for clients and is regularly called upon to advise organisations on their use of occupational tests and how they can be best used to support the recruitment, assessment and development of talent. 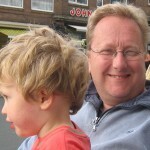 John lives in West Sussex and is married with two young children aged 7 and 2.5 years. He is an avid reader (Fantasy and Sci-Fi) and a keen golfer and clients should be warned that he will take any opportunity to integrate this obsession into his client meetings.